Community Service | DISCOVER YOUR GIFTS! Community plays a large role in a Hillside education. We believe that a strong, supportive community helps students make ethical choices and develop their own unique gifts. Hillside also encourages students to give back to their larger community by participating in activities and volunteer work outside of school. 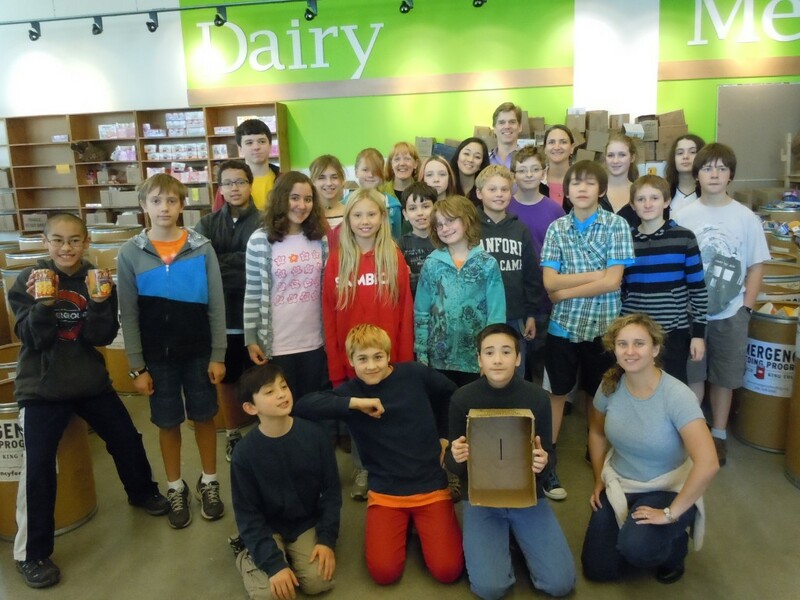 This year Hillside students volunteered at the Emergency Feeding Program of Seattle and King County. The Emergency Feeding Program’s mission is to provide an emergency response to people in crisis hunger situations throughout Seattle and King County. Nearly half of all meals go to children.